http://dreamcatchersinternational.blogspot.com - another whole-brained, whole-hearted, soulful approach to Young Living Essential Oils®. http://www.hteamericas.com - the Chi Machine® and Far-Infrared Hothouse® site (#A114882 – Greg Hitter). http://www.juicefeasting.com - David and Katrina Rainoshek offer excellent phone support for those exploring rawfoods and cleansing. David was my superb coach when I undertook a 20-day juice fast at the Tree of Life Rejuvenation Center (www.treeoflife.nu) in the Fall of 2007. David Rainoshek is the researcher for Dr. Gabriel Cousens, MD, who is head of the Tree of Life Rejuvenation Center and a highly respected expert on rawfoods and cleansing. David has co-authored with Dr. Cousens (There is a Cure for Diabetes ). David and Katrina are superb coaches and fine people! Their "4 Means to Get Your Greens" and “Juice Feasting” (with Mike Adams) programs are overall the most nutritionally sound, thoroughly researched programs I've run across in three decades of exploring rawfoods. Knowledge is king; being able to live, integrate, and communicate it is queen—call them! You’ll be glad you did. http://www.centerpointe.com/ - the Centerpointe® site for the Holosync® CD’s. http://democracynow.org/stations.shtml - Democracy Now! is “the most listened to news program in North America” (according to an independent rating source). This is so for one reason – not being sponsored or owned by corporate or private interests, DN is true public media and thus can tell it like it is. Want real news? Tune your radio (PBS) or TV (Free Speech TV and Link TV) to Democracy Now! http://www.leonardodicaprio.com - an understandable overview of the biggest threat to our general well being, global warming. http://www.selfquesting.hubhub.org - Humanity Unites Brilliance (HUB) – “the hub of humanitarian change.” This fast-growing organization empowers its members by offering personal Mastermind support groups, online tools, books, CDs, workshops, and retreats—and providing personal relationships with other members, many who are highly-successful, well-known people—all with the humanitarian aim of providing impoverished people in the US and throughout the world with basic needs for food, water, shelter, micro loans, community services, etc. HUB organizes those seeking a vehicle for growth and self-expression who wish to find and optimally shine their “brilliance” through unconditional love—the ultimate expression of the Self in its wholeness. HUB does this by offering the ability to network with like-minded others, providing the tools and encouragement to find and develop ones own unique way of giving. 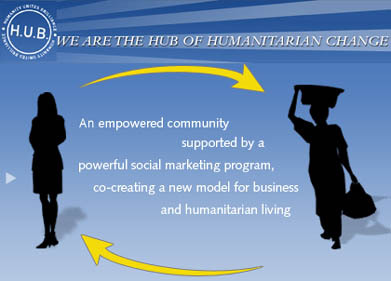 Since direct marketing and solicitation hasn’t met worldwide need for humanitarian aid, to assure maximum growth and effect HUB established itself as a network marketing organization. Each member is supported and encouraged to find and choose their type and comfort level of involvement. The people I’ve met through this organization are amazing! What a place to network and grow! Attend a HUB Igniter meeting near you -- tell them “Greg Hitter sent you” and you can attend for free! Comment: If the reporting of truth stirs up your pain and fear so you “can’t bear to watch it,” do you think maybe it’s time to face that and work it through, so that reality isn’t something you run from? Or is “burying your head in the sand” a philosophy and lifestyle you think prudent to embrace? If so, then know that to some degree a clueless, troubled, “quiet desperation” will likely be your legacy – and one you’re probably already silently reaping (if you care to look). 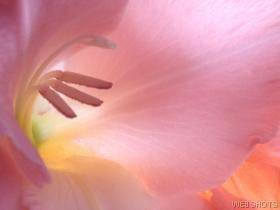 You can quest to become whole, and come to face life and the truth. Or you can quietly burn on the pyre of your fear-based fragmented consciousness – sacrificing yourself as a victim to those who would prey on your fear, unwillingness, inaction, and lack of awareness – like a lamb to slaughter… But then, “Millions of people lead lives of quiet desperation,” as Emerson and Thoreau noted. The Art of Loving, Erich Fromm – the most profoundly influential book I ever read – visionary and vision inducing. A book to restore belief in every heart, mind, and soul! A Fish in the Sea is Not Thirsty, Kabir, translated by Robert Bly – a profound collection of poetic Self wisdom. The Passion of the Western Mind, Richard Tarnas – a brilliant dissertation on humanity’s journey to the threshold of the feminine! The Turbulent Mirror, Briggs & Peat – well-written to the very depths of the new science of Chaos! Ecstasy: A Way of Knowing, Andrew Greely – open to Beauty, as a way of knowing. Chaos: the Making of a New Science, James Gleick – a great overview and history of Chaos science. The Hand of Poetry: Five Mystic Poets of Persia, translated by Coleman Barks – the mystery’s joy. Varieties of Religious Experience, William James – find that others have experienced what you have. The Divided Self, R.D. Laing – early-postmodern insight into an age-old problem. The Tao Te Ching, Lao Tzu, translated by Gia-Fu Feng and Jane English – feel the mystery of the Tao. The Presence of the Past: Morphic Resonance and the Habits of Nature, Rupert Seldrake – how consciousness structures subtle energy to in turn shape the body/mind and the material. 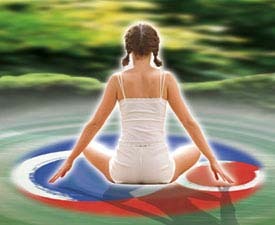 Vibrational Medicine, Richard Gerber – more on subtle energy and how it shapes the body/mind. Zen and Psychoanalysis, Suzuki, Fromm and DeMartino – finer points on the final analysis. The Courage to Be, Paul Tillich – beyond the religious or scientific, on to the personal! Ageless, Suzanne Sommers - a "must read" on bioidentical hormone replacement therapy for men and women.